The design requirement usually drives the materials selected. The material selection in turn drives the possible manufacturing processes that can be selected. The cost of material is affected by market demand and the difficulties associated with its extraction from the earth's crust or from re-cycled products. This information is freely available on the Internet and with relatively modest investments in time it is possible to maintain an up-to-date materials cost database for estimating purposes. In the overview section we encountered the phase "the cost of the material per unit volume in the required form." 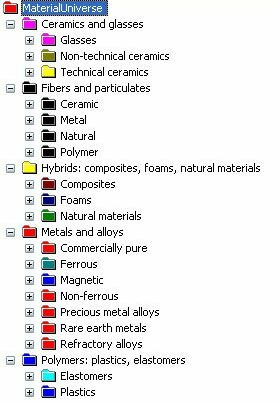 Many sources can provide relative cost indexes for supply of materials in various forms. For instance, the relative cost of sheet and bar to the blooms and billets from which they are produced. So from a few base numbers it is possible to generate actual costs of materials in particular forms. Some material cost websites provide information to enable creation and validation of material costs. Most of the websites are designed for commodity trading and do not provide up to the minute material prices. However most provide a history of prices from days to months old for free. This could be used in conjuction with inflation factors to arrive at "stable" current or forward prices suitable for estimating the cost of a part to be manufactured at some point in the future. However users need not adopt a perfectionist approach as the designer should actually be looking for the most efficient method of manufacture. Until we arrive at Utopia inflation will always be with us and therefore at the concept design stage we need only be concerned with relative costs to manufacture something.